6 Lifesaving Automation Tools for Social Media - What's Katie Up To ? Social Media Overwhelm is real friends. Myself, maybe you and a lot of other dedicated Bloggers are feeling it too! Since traffic from social media is so important one of the main things bloggers are working on to grow their blog, we need some help struggling the work overwhelming. Even more, since it is important not only to focus on one but being present ideally on the ALL the big Social Networks! We don’t want to miss out on traffic, right – at least if you are the same as me :) I am a social media traffic junkie, always on the hunt for the newest big thing! So this post is all about automation tools for social media so we STOP SOCIAL MEDIA OVERWHELM TODAY! Up until last month, Instagram did not allow to schedule posts directly and automatically to Instagram! This has changed now and what a relief! No more annoying push notifications, no more wake up calls in the middle of the night to post to Instagram because of the perfect post time frame!!! 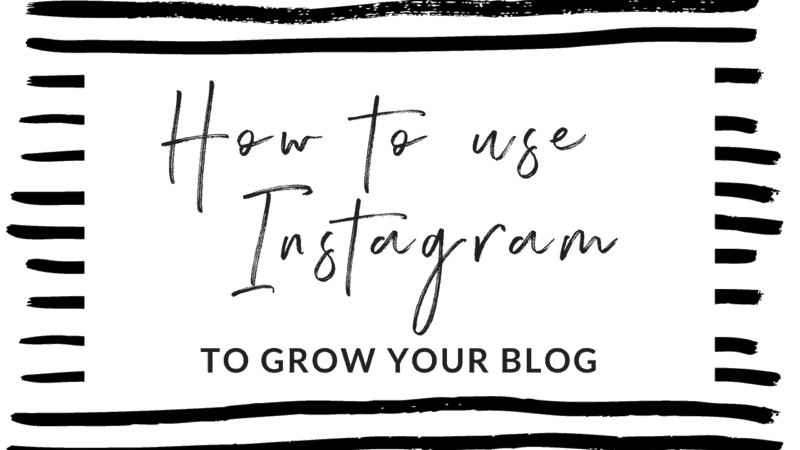 Also please check out my Blog Post on “How to use Instagram to grow your Blog” where I also cover the most effective Strategies to grow your Blog using Instagram!! -> once you have set your Schedule you can use the APP on your phone! When you click on the Image of yourself in the Top right corner of the app you can switch between your accounts (Pinterest and Instagram) so switch to your Instagram account. Boom, Tailwind will now auto-schedule your Posts to Instagram!!! Twitter is an amazing social media to generate traffic to your blog and I have seen some amazing results! However, Twitter is a very fast media and tweets are often only seen for a few minutes and then there is already the next fancy thing going on! So it can make sense to automate your Tweets and decide to for example tweet maybe 5 times a day or 20 times a day! There are several automation tools for social media which allows you to automate Twitter and my favorite one I will be covering here is IFTTT. With, “If This Than That” you can connect several Social Media accounts to the program and then tweet out posts from Instagram, Facebook, Pinterest, WordPress, and co.! If you have a blog you can set it up to post your new blog posts to twitter automatically. Maybe you have updated your Facebook page and it will automatically tweet out your status update. The same goes for Instagram, maybe you just posted a new pic of you and your coffee working on your Blog in the morning! IFTTT will automatically take that post and tweet it to your Twitter account! I really like this strategy because it’s so diverse. You use text tweets but also image tweets, which will make your twitter feed especially interesting and appealing! If you are having a niche blog, I would for sure encourage you to open your own Facebook Group as a Host. It’s a great way to get in touch with like-minded people and identify topics, which are relevant to your Niche. Go ahead and create your own community! You can check out my own BLOGGY BADASS Facebook Group HERE! It’s open to all Bloggers :). Now, it’s really easy to spend a lot of time in your Facebook Group, checking on it all the time! But frankly, I would not recommend spending more than 15min a day in your Facebook group! You are spending way more! Here is a very easy and effective solution to use automation tools for social media to schedule your posts to your Facebook group – in order for you to spend your 15min a day on approving new members, answering questions and building your community! If you are posting a daily thread you can use Facebook’s own schedule, which is working very well! (Daily sharing threads are posts where people can leave a link to their social media or blog and support each other’s efforts by checking them out as well, e.g. a Monday Instagram Thread is a post where you leave your link to your Instagram account and you go and like 2-3 accounts of fellow Bloggers). I usually use an image post because it works really well on Facebook and its also very clear to your members what Day it is and what Thread is on today, here is an example (see above). Once you have scheduled your post a little field will appear at the top of your feed where you can go back and edit and make changes to your scheduled posts. Click “see more” to access. Here we go this is how to use automation tools for social media scheduling to STOP social MEDIA overwhelm. I usually pick one morning per month or two weeks, depending on the media and schedule it :). Now that we know all that, we can focus on answering questions, writing more in debts blog posts, and just focus on building and growing our successful Blog today and together! I really hope you guys enjoyed this post on automation tools for social media and you LET ME KNOW IN THE COMMENTS what you think of it and if you would like to have more in debts explanations on how to use the tools! Talk to you very soon my Bloggy Friends and I wish you a lovely rest of the Week!